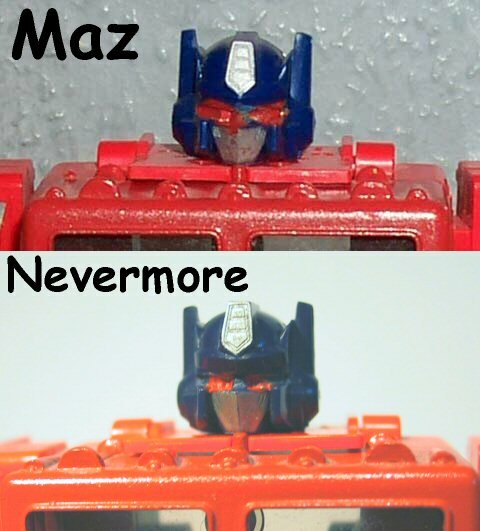 The true colors of Ironhide's treads. Prowl - prime example for successful integration. Grapple got off on the wrong foot. Why the red face, Topspin? 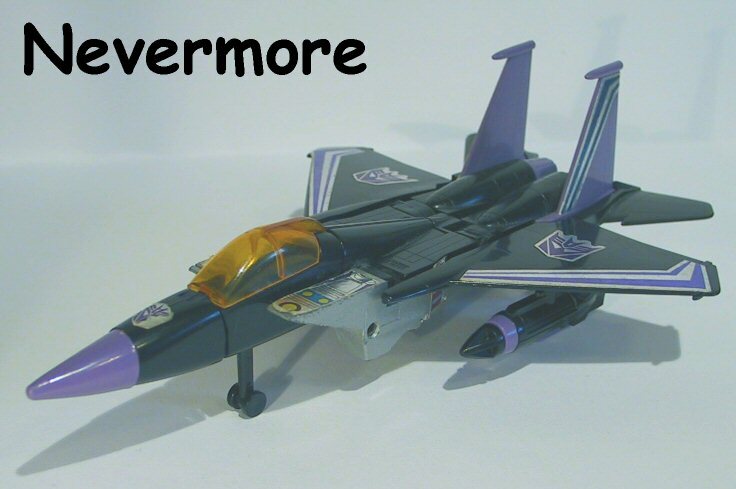 Starscream - no, this is NOT a cheap knock-off. Skywarp, just where did you get that purple nose? 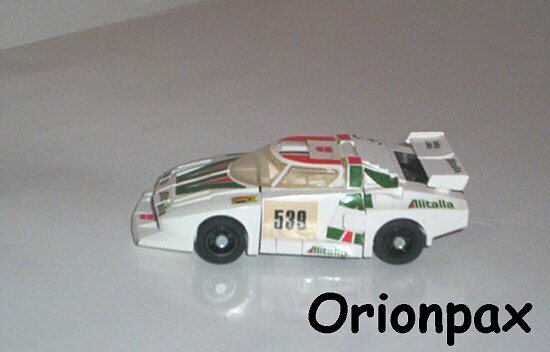 Wheeljack - note the font used for the "539" stickers which is different from the one used on the Hasbro toy. Pipes? Huffer? Or Puffer? You decide. "Tailgate" - rare Mexican "chase variant". Optimus Prime with the standard "bleeding" eyes. Note the different quality of the scratch / repaint job. Devastator - availabe both with unedited yellow and scratch-painted red eyes. Note: This article is mirrored in German language here. It is the year 1984. The American toy company Hasbro has obtained the licenses for releasing the Japanese "Diaclone" and "New Microman: MicroChange" toys to the North American market and merged both lines into the "Transformers". An ambitious promotional campain, including a cartoon show produced by the Sunbow Studios and a comic book series published by Mighty Marvel, doesn't miss the intended effect, and the "Transformers" end up being the surprise hit of 1984. 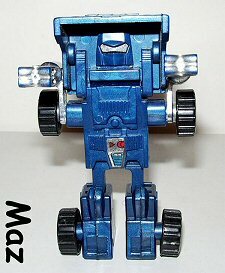 Hasbro soon realized that they had to utilize the success of the "Transformers" and export them into other countries as well. In Canada, this didn't pose a problem, since Hasbro already had established a local branch there, and likewise, they were about to break into the European market following their takeover of the Milton Bradley Company (better known under the abbrevation "MB"). With Central and South America, however, they were facing the problem that the individual countries (Mexico, Brazil, Chile, Peru, Argentina and Venezuela) had strict laws restricting the import of toys. Thus, Hasbro saw no other choice but to grant the licenses to local companies so these could manufacture the toys domestically. 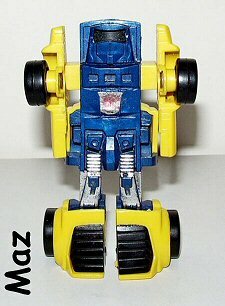 In Brazil's case, it was a company named Estrela S.A. that released "Transformers" toys beginning in 1986, with often bizarre results; in Argentina, a company named Antex Andina S.A. released their own version of the Estrela toys, since Antex hadn't obtained the licenses directly from Hasbro but instead from Estrela (! ); in Peru's case, it's suspected that a company named Lynsa was responsible for domestic releases, although this couldn't be fully resolved yet; Chile and Honduras evidently got their toys directly imported from the neighboring countries; and to this day, there is virtually nothing known about the releases in Venezuela. Finally, in Mexico's case, it was a company named Plasticos IGA S.A. that released "Transformers" toys under license from Hasbro beginning in 1985. Aside from the packaging which was kept in Spanish, the Mexican toys primarily stood out for their use of materials that were of an considerably inferior quality as compared to those used by Hasbro and Takara. Instead of white, for example, IGA used a more creamy color which is often mistaken for a yellowing effect, which is especially evident when directly compared to the unpainted, factory-made white plastic parts. Additionally, red colors tended more towards a darkish orange. Furthermore, it has to be pointed out that the colors used for the toys contained more lead than was, or still is, legally allowable in other countries (e.g. the UK). 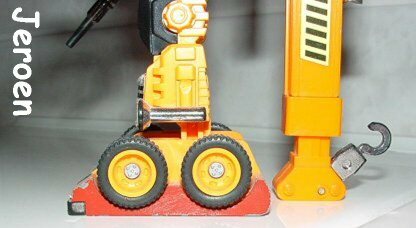 On top of that, the diecast parts often tended to suffer from considerably heavier paint chipping than those from the US toys, and the chromed plastic parts were also extremely susceptible to wear. In that regard, it was anything but unusual for the plastic under the chrome to have different colors - for example, in Ironhide's case, half of the front tread (under the "Mobile Autobot Repair Base") consisted of blue and the other half of black plastic. Concerning the copyright markings which can usually be found on the underside of the toys, the IGA toys usually simply had the place of manufacturing "blocked out", probably because IGA couldn't afford extensive changes to the molds in order to list "Mexico" as the place of manufacturing. However, this didn't happen in every case either - for example, Bluestreak, Prowl, Smokescreen, Sideswipe, Red Alert, Astrotrain, Blitzwing, Metroplex, Gears and Swerve (wrongly) listed "Japan" as place of manufacturing, while Topspin and Twin Twist stated "Taiwan" as place of manufacturing. The booklets, which were printed on a heavier stock of paper than in the US versions' case, were equally inconsistent: About half of them were called "Instrucciones" ("instructions"), the other half "Instructivo" (instructive"), and in Sideswipe's case, the instructions were called "Folleto de Instrucciones" ("pamphlet of instructions"). The page which depicted the parts included in the set was called either "Incluye" ("includes") or "El Juego Incluye" ("the game includes"), however, in Soundwave's case, it was instead called "Contenido" ("content"). Additionally, most of the boxes kept the original English titles "Heroic Autobot" and "Evil Decepticon", but in some cases, translated versions, "Autobot Heroico" and "Malevolo Decepticon", respectively, were used instead. What should also be noted is that Mexico got numerous toys in variations that weren't available in other countries. Usually, this was due to lack of communication between Hasbro and IGA, but in some cases, IGA actually attempted to "adapt" the toys to the Mexican market. 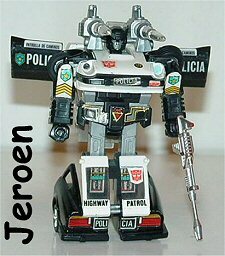 Especially noteworthy in that regard would be Prowl, who didn't get the well-known "Police" and "Highway Patrol" decos in Mexico but instead "Policia" and "Patrulla de Caminos" decos, and additionally, he also used a lot more black than the US version. In fact, Prowl was even available in three different versions which primarily differed in terms of the black/white ratio used. Grapple, originally released with red feet (which were, in fact, the same shade of red as those of the Mexican version of Inferno, which would mean they were actually leftover parts from the latter), now got the correct orange feet. 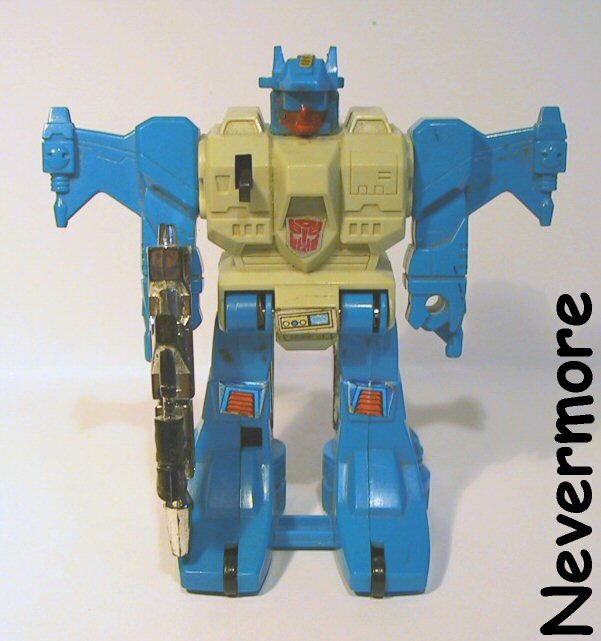 Smokescreen, originally released as nothing more but Bluestreak in Smokescreen's colors (! 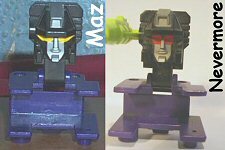 ), was now updated with the respective remolds. Inferno originally came with side-swapped arms. This was also corrected later on. The first version of Hound sported a way too light green color, and the hole for attaching the machine gun in Jeep mode was too large. Both points were later corrected. Snarl's gold chromed parts were way too light in the original version, and Grimlock originally came with silver instead of gold parts. This was corrected with the second attempt as well. Topspin and Twin Twist originally came with red instead of grey faces, which was later corrected as well. Even though the red color had been applied similarly sloppily as the red eye color from the toys which were later imported to Europe, there have been, unlike in the latters' case, confirmed sightings for the "Jumpstarters" from Mexico as well, thus it's safe to assume that those were no additional "safety measures", but in fact merely yet another sloppiness on IGA's behalf. Starscream came with flat grey parts instead of the creamy ones from the US version. 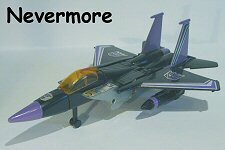 Skywarp sported a purple jet nosecone instead of the black one from the US version (although the purple nusecone was depicted, oddly enough, in the original US catalog from 1984). Thundercracker sported a less sparkly blue than the US version, omitted all the white stripes on the factory-applied stickers and posed a hybrid version of the Japanese "Diaclone" version and various American "Transformers" versions in terms of construction. Ramjet used a more maroon shade as compared to the US version's red color. 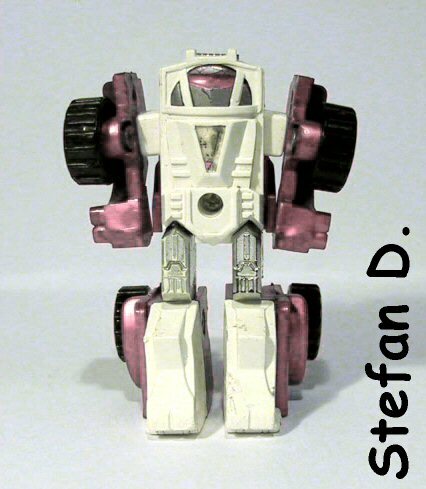 Additionally, all "Seekers" didn't sport rubber nosecones like the US toys, but instead, they were made of solid plastic with rounded off tips, and the wheels were also not made of metal but of plastic. The factory-applied sticker for the Mexican toys weren't identical to those that came with the US versions, which, aside from the aforementioned missing white stripes on Thundercracker's wings, is especially evident from the different fonts used (for example in the case of Wheeljack's "539"). Bluestreak didn't sport the silver parts from the US version, but instead came in the same grey as Starscream. This "error" would never be corrected. 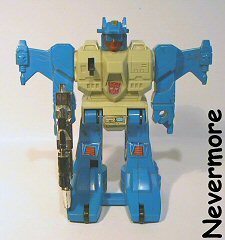 Another error that was also never corrected was Hoist, who didn't sport his own head but instead that of Trailbreaker - it's not impossible that Hasbro, just like in Smokescreen's case, simply didn't inform IGA about the respective changes to the mold (after all, Hoist was a remold of Trailbreaker). Last but not least, the "Minicars", or "Minibots", also deserve mention. While Mexico, unlike the USA and Brazil, didn't get the (in)famous "Bumblejumper" toy, neither "accidentally" nor under its own name, they did indeed get several variations with at least the first of them being anything but unfamiliar to fans from the USA: In fact, both Bumblebee and Cliffjumper came in both yellow as well as red versions. And as if that wasn't enough yet, both Bumblebee and Cliffjumper were also released in blue editions on top of that. 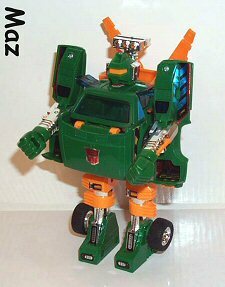 "Outback", for example, was simply Brawn in Outback's colors. 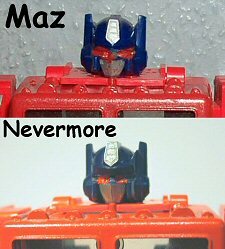 "Swerve" was nothing more but Gears in Swerve's colors, whereas the US version's red color was replaced by the same shade of maroon as in Ramjet's case. Simply describing "Pipes" as "Huffer in Pipes' colors" wouldn't exactly do justice to the toy - in fact, this version was lacking all the white parts but was instead kept completely in blue. 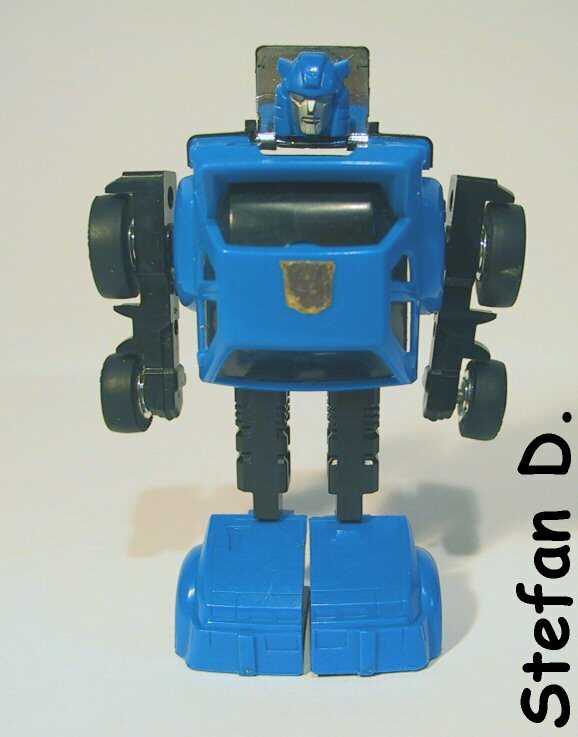 However, a second version also exists, which is indeed Huffer in Pipes' colors (not to be confused with another variation which evidently hails from Europe and looks extremely similar to the latter one), which is why the toy is also known under the nickname of "Puffer". Also released in two versions was "Tailgate": Aside from the "regular" version, which was, as expected, Windcharger in Tailgate's colors, there was also a second edition, which saw the white parts being replaced by yellow ones. Finally, the Mexican version of "Hubcap" was a silver (!) version of Cliffjumper with his face painted red. What's still unclear at this point is whether there was also a second, yellow version with a red face - which would mean that IGA would have released two yellow versions of the same toy under different names. Finally, the last toy still to be released in Mexico was Metroplex - albeit a few years ago, apperently Sixshot (!) also surfaced in an "IGA" packaging in Mexico, and at least in the UK, a number of Hot Rods still exist which are also assumed maybe to originate from Mexico - however, neither of them could be fully resolved so far. Despite an ambitious promotional campaign (even a dubbed Spanish version of the cartoon was aired on Mexican TV, unlike other South American countries), the toys didn't sell particularly well. In 1986, the Mexican market had decreased to a degree where the few Mexican fans who were still going to watch "Transformers: The Movie" reverted to simply importing the US toys, and when the contract between IGA and Hasbro expired, IGA finally quit producing Transformers toys altogether. However, that meant that IGA was still sitting atop a massive stock of unsold toys, and in order to get rid of them, IGA first tried to sell them in the neighboring countries (at this point, confirmed reports exist for Guatemala, El Salvador, Honduras, Nicaragua, Costa Rica, Panama and Belize, among others). When even that wouldn't help, they eventually only saw one way out - they simply exported the toys to Europe. There, Hasbro had started selling "Transformers" toys in 1985 using the company Milton Bradley, which at this time was in the process of being taken over by Hasbro (a particularly obscure variation of Optimus Prime with red feet, which, to this very day, is the only known "Transformers" release of the French company Ceji/Revell, shouldn't be left unmentioned in this context either) - the most famous example would most probably be the red version of Tracks. After the toys from "Transformers: The Movie" had been skipped in Central Europe and had only been available via stores that had directly imported their toys from the USA (the latter part was confirmed to me by Hasbro Germany), the vast majority of the following toys were being released without any noteworthy differences from their US counterparts. 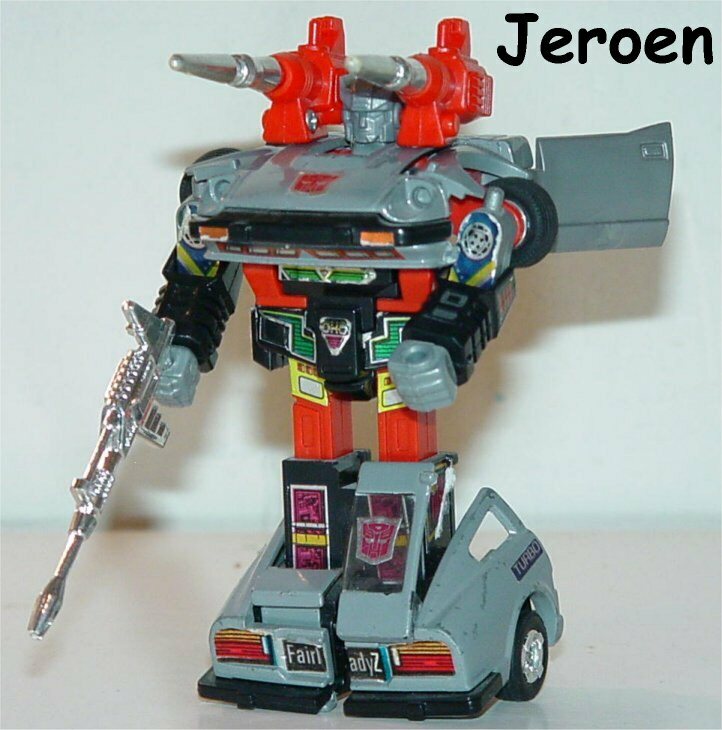 In fact, nearly all toys which were released in the USA (Powermasters, Double Targetmasters, Micromasters) were also available in Europe at that time. 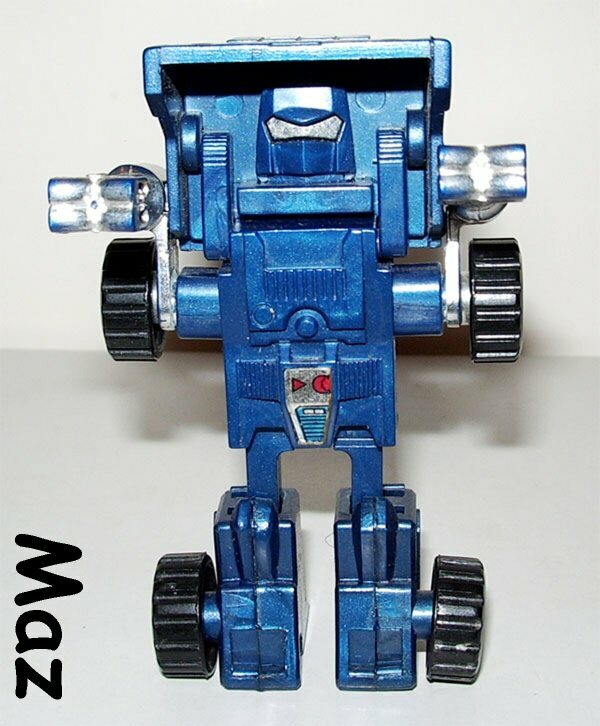 By far the most sold toy in Europe, including Germany, was, without a doubt, Powermaster Optimus Prime, which is proven, if nothing else, by the countless eBay auctions from the past few years. In 1989, then, Europe was hit by a sheer invasion from Mexico, when the huge overstock IGA hadn't been able to sell in Mexico was exported to Europe. It can be considered as a firm fact that this occured without Hasbro's doing (once again confirmed to me by Hasbro Germany), but was probably instead carried out through the same channels that also distributed unlicenced bootlegs from the Far East. In this regard, a London-based company named WRBI Ltd. played a decisive part, although it's still unclear whether or not they were only responsible for importing the toys into the United Kingdom. Aside from the British Islands, confirmed reports of Mexican toys also exist for the Netherlands, Belgium, Germany, Spain, Italy, Austria and Romania, and they even made it into Scandinavian countries such as Denmark, Sweden and Finland - in fact, the first confirmed sighting for Sweden dates back to October 1988. Thus, four years after their initial European release, many of the original toys were released again, which provided many newcomer fans with the rare opportunity of getting toys such as Optimus Prime, Starscream or Bumblebee, which had originally vanished from the shelves a long time ago. Aside from the Mexican packaging, the most remarkable aspect in this regard was the fact that due to this, numerous Mexican variants such as the multi-colored Bumblebees and Cliffjumpers, Mexican police Prowl, purple nosecone Skywarp and the 1984 Minicars in the 1986 Minibots' color schemes were now available all over Europe as well. 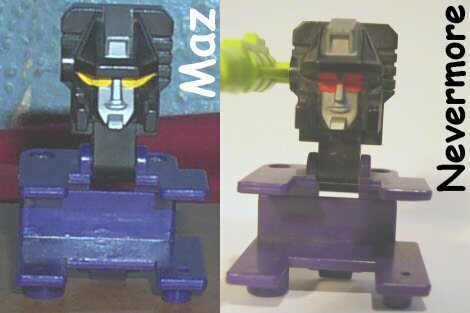 However, unlike the toys that had previously been released under the MB banner, the Mexican toys were missing the heat-sensitive rubsigns which would reveal an Autobot or Decepticon logo with increasing temperature. What should turn out to be a real problem was the high lead content of the colors used by IGA. In fact, it was way above the standard that was (and still is) legally allowable in the UK, which is why TV programs such as "Newsround" were pointing out the dangers the Mexican toys posed. 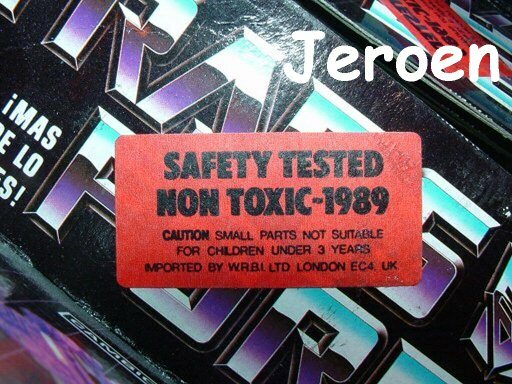 However, it seems the toys were eventually tested in order to find out whether they posed a health risk or not, a huge part of the lead paint was scrubbed off (which is particularly obvious on the Mexican Optimus Prime's cab in many cases), and in the end, the packaging even received stickers which confirmed that the toys, or the colors used, were not toxic (anymore). This particularly affected many of the toys that originally came with yellow eyes (Optimus Prime, Astrotrain, Inferno and Grapple) which now got them covered with red paint. Nevertheless, some toys were still available with yellow eyes, for example Devastator. 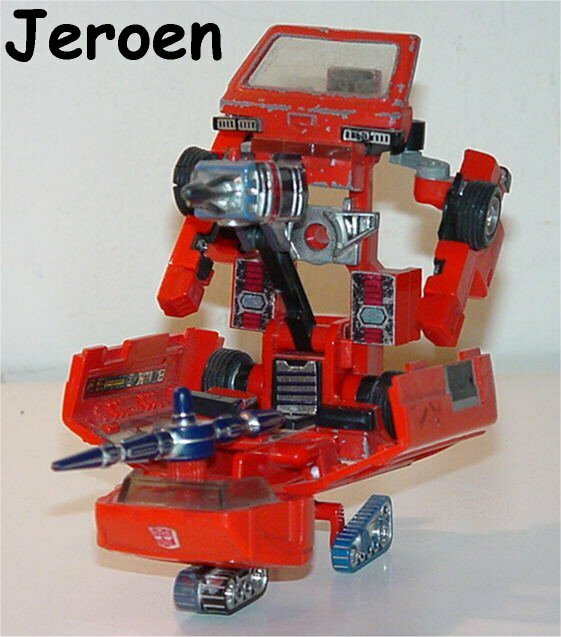 Other problems in terms of European safety standards included the "Seeker's" jet nosecones, which were made of solid plastic in the Mexican versions' case, and also the still working spring-loaded launching mechanisms for all the Mexican toys' missile launchers, which had been removed for the Hasbro releases both in the USA and in Europe. Understandably, Hasbro was none too happy about the sudden emergence of Mexican toys in Europe. Even though they had been originally licensed by Hasbro, they had obviously not been supposed to compete with Hasbro's regular releases on the European market later on. Thus, a bizarre situation arose where toys originally licensed by Hasbro suddenly gained the same status as cheap bootlegs like those which were regularly being shipped over from Hong Kong or Korea. In order to react appropriately (note: This is a conclusion on my behalf - unfortunately, Hasbro Germany wasn't able to confirm this to me) while at the same time satisfying the reawakened demand for the original Transformers toys (at least in Germany, a dubbed version of the cartoon was aired on TV for the first time beginning in 1989), Hasbro Europe launched the "Classic Heroes" line in 1990, alongside the regular releases from that period such as the Micromasters and the Action Masters. Those were the first ever serially released reissues of older "Transformers" toys, beginning with Optimus Prime, Wheeljack, Tracks, Sunstreaker, Sideswipe to the Dinobots, Aerialbots, Stunticons, Combaticons, Protectobots and Triple Changers up to the Throttlebots. Ironically, that should be the last time to this very day that the Wheeljack and Sunstreaker toys had been reissued. Just like the "MB" toys before them, the "Classic Heroes" again came with the heat-sensitive rubsigns - thus, Hasbro could again refer to the campaign already known from the USA: If a toy doesn't have a rubsign, it isn't a "real" Transformer. The downside as compared to the Mexican toys, however, was the considerably higher price tag for the "Classic Heroes" - it should be obvious what people preferably bought. After the original "Transformers" toyline had ended in the USA, Hasbro Europe continued releasing new toys which never came out in the USA and thus are considered rarities these days - starting with new Action Masters such as Tracks, Sideswipe or Slicer to the "Action Master Elites", Double Punch, Omega Spreem, Turbomaster and Windmill, up to the "Turbomasters" and "Predators" as well as the so-called "Generation 1½" Costructicons. Meanwhile, the remaining Mexican toys that had still not been sold (one might wonder what an enormous production run IGA had carried out!) were, according to still unconfirmed rumors, exported to Russia (! ), where Hasbro started to break into the market with the "Transformers" in 1992 as well. The end of the "IGA" releases by far didn't mean the end of the "Transformers" themselves in Mexico: In fact, after the release of "Transformers: The Movie", Mexico was treated to dubbed versions of the Japanese "Headmasters", "Masterforce" and "Victory" cartoons (with the dub in turn being based on the infamous dubbed English version from Hong Kong-based Star TV), to be followed, in turn, oddly enough, by the third and fourth US season. After that, the "Generation 2" version of the US cartoon was also aired. According to rumors, IGA was bought by a larger company about five years ago. The master molds for the "Transformers" toys, which IGA allegedly still owned (! ), were melted down and destroyed, and the still remaining toys, among them also a few "Transformers" products, were donated to charity. Maziar Shahsafdari (aka Maz) provided me with a few images, cross-read the first draft and sent me lots of corrections and suggestions, and also provided (some of) the information on the copyright blockings. Napoleon Gomez Luna Leyva (aka Napjr) of TFW2005 and Transfan Cybertron provided me with information directly from Mexico and also provided one of of the IGA logos. KillerMel provided me with information on secondary releases of the Mexican toys in South America as well as details on several European countries where those were available later on. Cyclone X of BTFA confirmed Belgium as one of the countries where the Mexican toys were available. Olli-Oskari Jaakkola (aka Osku), Lars Eriksson (aka Groundsplitter), Martin Lund (aka Fighbird) and Robert Ehn (aka Bobby_One) of NTFA provided the information on Scandinavian releases. Metro also cross-read this article and offered me some corrections and suggestions, and also provided one of the IGA logos. Jeroen Blok provided some more images. My former classmate Stefan Döring provided his Cliffjumper and Swerve toys for this article. 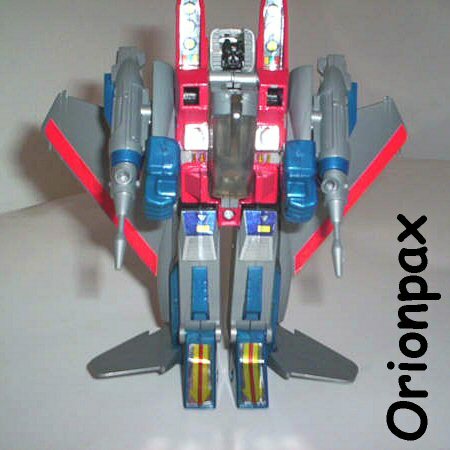 Orionpax of Transfan Cybertron provided the images of Starscream and Wheeljack. Steelhook and Satos tried to find out more about possible releases of the Mexican toys in Russia - to no avail, unfortunately. In case any of the images have been credited to the wrong person, please let me know so I can fix the credit accordingly!